Kappabashi Street runs between Ueno and Asakusa in Tokyo. Numbers of shops supplying the restaurant trade clustered on the street. 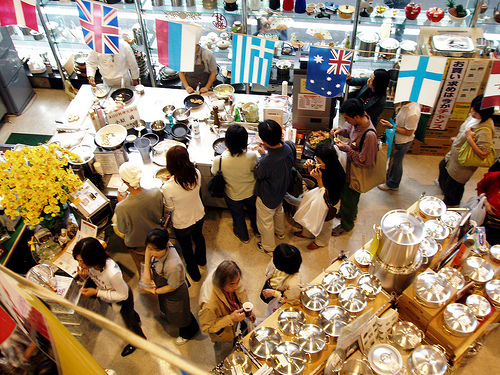 Pots, pans, dishes, chopsticks silverwares, glasses… all kinds of kitchen related things are sold there including vast collection of realistic plastic display food, which magnets tourists from other countries. On a side road off from the Kappabashi Street, there is a robot (picture above) made of pots welcoming people to Kitchen Museum. The sign says “Onabe no Hakubutsukan (Museum of Pots)” and Kitchen Museum in English. 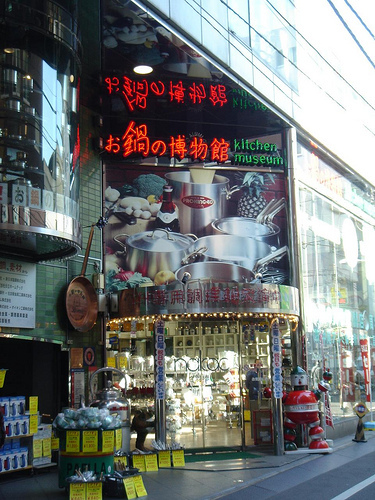 It is actually a three-story pot store selling high quality cookware used at five star hotels and restaurants. In the museum, they serve food cooked with their pots or pans. 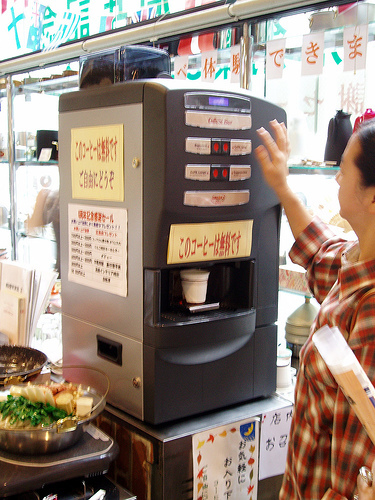 You can get coffee for free from a self-serve coffee machine. They serve hot and cold tea too. 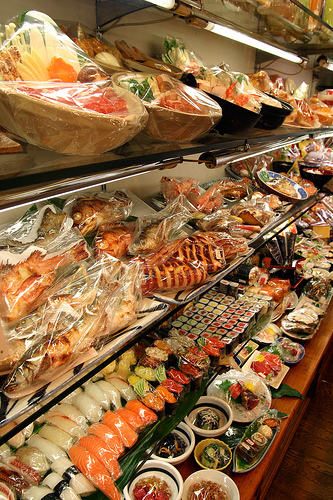 If you ever go to Asakusa, and want to find Japanese cook ware, tableware or plastic food, go to Kappabashi Street and have a snack break at the Kitchen Museum!